WELCOME to the 28th issue of BYMRr-Zine - a newsletter published by Building Your Model Railroad, devoted to providing breaking news and tips to model railroaders of all ages and all scales in a quick and easy-to-read format. Resources are always credited where appropriate. 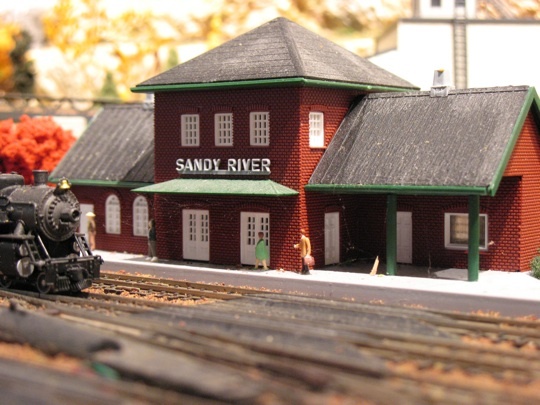 A nice article in the June, 2013 issue of Model Railroader by Gregg Condon, titled, "Cloth and Caulk", on p58, demonstrates another great way to create terrain for your layout. Basically, you take any old, thick, flexible cloth that your spouse will let you use, like old towels or blankets, cut them to the size required to cover a short section of your terrain, then apply long strips of caulk to one side of the cloth about one inch apart. Then install the cloth - caulk side down - over the terrain forms that you have previously put over the area (wadded newspaper, cardboard strips, wood or foam forms). Once the caulk hardens, you have a firm scenery shell that can be painted. Add ground foam, trees, bushes, etc and you have a very realistic scene with undulating terrain that was fast and easy to make, and - the nicest thing about it - it's not messy like it is when using plaster or plaster-cloth! Another article in the June, 2013 issue of Model Railroader ("Wayside Lighting with DCC", by Mike Polsgrove, p62) that caught my eye recently demonstrates how to further reduce the work of wiring when using DCC - this time relating to how to use DCC to control trackside lighting. Since DCC power is basically AC power running through the tracks coming from the track bus that runs underneath the layout, you can utilize this power by connecting your trackside lights to the track, or to the track bus, by way of a stationary decoder. That way, you don't have to run a separate set of wires from the lights all the way back to the control panel. The lights (or whatever other device that you are trying to operate) connect to the stationary decoder which is then connected to the track bus. You can then control the lights using your DCC controls - either on the remote or from the controls on the booster. Not all DCC systems will have the capability to send out commands to stationary decoders, but most do. One thing to note, however, is that if you have a lot of lights, switch machines or other devices that are all in use at the same time, these devices will draw current from your system and reduce the current that is available for your locomotives to run. You may need to add an extra booster to your system if you need extra current to run multiple trains, multiple switch machines and lights. This adds to the expense, but it might be worth it because the wiring for all these things on a large layout is very labor intensive otherwise. To figure out how much current you need for your layout, simply add up the current that each of these lights, accessories and locomotives use (just the ones that will be on at the same time) and compare that to the amount of current produced by your booster. Also, make sure the lights or accessory devices that you use have a high enough voltage rating that they won't burn out with the typical 12-14 volt output from your booster. If the voltage rating of the light is too small, you will have to add an appropriate resistor in series with the light. The size of the resistor can be determined by using Ohm's Law: Resistance (ohms) = (track voltage - device voltage) divided by device current (amps). Once you've made that calculation, you can go to Radio Shack or other electronic store and get a resistor that matches or is greater than that which you calculated. O scale Lionel now has a remote control device called Lion Chief with speed, direction, sound and power control on a simple hand-held remote device. It will operate locomotives from as much as 60 feet away and requires 3 AAA batteries. You can actually run multiple engines on the same layout at the same time using different frequencies. 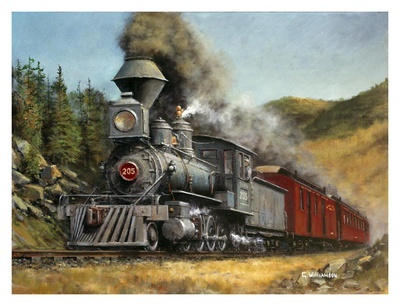 Check out the website for further information at www.lionel.com. You can create realistic peel-and-stick "wood"-siding for your buildings using regular index cards. First apply 3M double-sided adhesive tape to cover one side of the card. Then, after calculating the appropriate width for your scale, use scissors to cut strips in the card. Then, for each strip, peel off the adhesive backing and apply the strip to the wall of your building starting from the bottom. Trim the edges and cut out the windows after the strips have been installed. Make window frames using 0.02" cardstock by cutting and gluing the cardstock to form a rectangle. Apply adhesive tape to one side of the frame. Peel off the adhesive backing and apply the frame to the window area on your wall. You're now ready for painting! 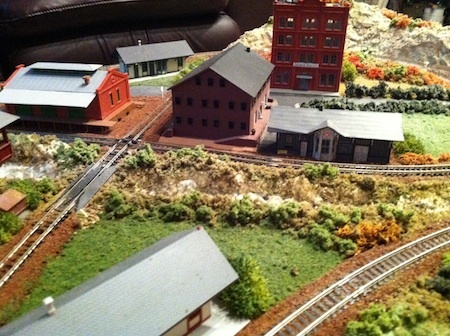 Ref: "Scratchbuild a Small Factory", by Brooks Stover, Model Railroader, May, 2013, p32 - Great article on how to use mat board and cardstock to build structures. 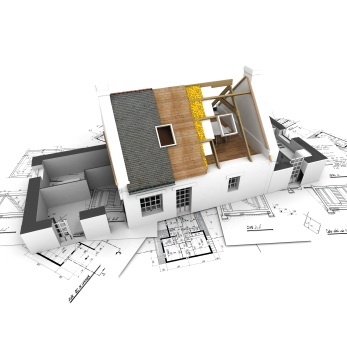 One type of medium that can be used to build scenery that we don't think about too often is Portland Cement. It's cheap, easy to work with and looks like the real thing. I was inspired recently by an article that appeared in Railroad Model Craftsman, April, 2013, by Richard Todd on p.69, entitled, "Portland Cement Scenery". Richard and his son, Ryan, constructed a bridge using 3/8 inch clear poplar wood cut in appropriately sized rectangles. To make them appear more realistic, they used a mixture of Portland Cement, white glue, paint and water and then brushed the stuff onto the surface of the wooden piers. The result was fantastically realistic! They also used similar mixtures to create cliffs, bluffs, rocks and retaining walls. They even used it to coat river bottoms, adding some rocks and gravel to the layer of wet cement. After it dried, they painted it and then poured in Envirotex with no leaks. ~ Place a few dead or fallen trees in your forest for greater realism. ~ Plant some trees in the middle of where power lines are crossing. Cut away portions of the trees to avoid interference with the power lines to simulate what the power companies do when trees get in the way of the lines. ~ If you are modeling a country scene, consider planting a few trees in the area first. Then add roads and/or streams meandering around the trees. This looks more realistic than creating a straight stream or road first and then adding the trees later. ~ Use the dry-brushing technique with a small brush and acrylic paints to weather the wheels of your running stock. First use a layer of gray, then add brown and finally streaks of rust color. ~ Create a false tunnel on your backdrop. Use a purchased tunnel portal, or make one yourself with Hydrocal or resin poured into a form. Position the tunnel portal against the backdrop. Then place a mirror 2 inches inside the tunnel - facing out. The mirror will reflect scenery in the front of the tunnel appearing like the scenery is showing through from the other side. You can do this with a bridge structure as well. 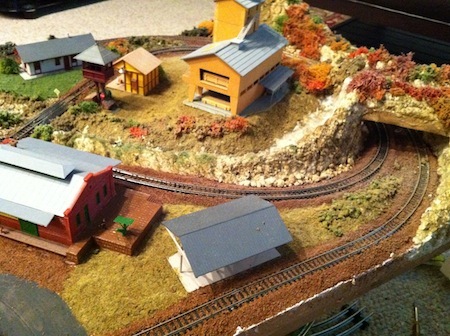 This is the time of year when many of us start thinking about setting up a garden railroad. It's not really very difficult to do and it's a great way to get the whole family involved in a project that you can do outdoors together. Here is a video that will show you how to get started. 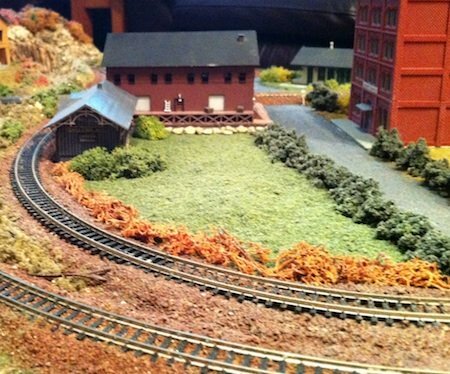 The spotlight in the BYMRR newsletter for this month is the beautiful and inspiring garden layout built over a number of years by the Greater Vancouver Garden Railway Club.